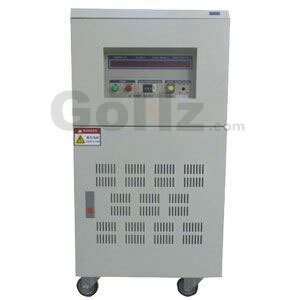 GoHz supplies pure sine wave single phase and three phase static frequency converters, power capacity from 1 kVA to 400 kVA. These solid state frequency converters can change 1 phase input to 3 phase output as a phase converter, also can boost voltage from 110V, 120V to 220V, 230V, 240V, or even 400V, 480V by built-in step up transformer. 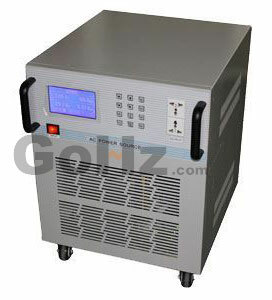 Static frequency converters are most used as a lab testing equipment for home appliances exporters to convert domestic power system to destination country's power system, also used for military, telecommunication, aviation industries. 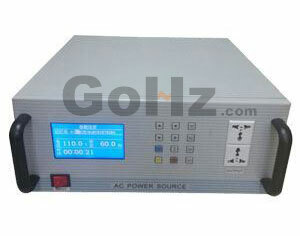 Manufacturer of solid state (static) frequency converters in competitive price.